It has ALWAYS been our goal here at the Arizona Center for Aesthetic Plastic Surgery to provide our patients with the best possible care and to do so as affordably as possible. In these very challenging economic times over the last 10 years, plagued with high underemployment and real unemployment, costs in general are infinitely more important in determining whether one can buy or pursue something that may not be absolutely necessary to survive. We know that few of you are multi-millionaires where (within reason) price is no object. Instead, most of you work or have worked hard for your money where almost every penny (or dollar) counts. A difference in price of several hundred dollars or more can either affect your ability to either pursue plastic surgery or force you to make a decision that does not involve your top choice. The cost for cosmetic plastic surgery procedures consists of three components: the surgical fee, anesthesiologist’s fee and the outpatient center charges. The major variable in cost here is the outpatient center. For more than 25 years I have used Piper Surgery Center, associated with now what is known as HonorHealth Scottsdale Shea Medical Center, to perform cosmetic plastic surgery on my patients. The care there has always been top notch with extremely dedicated, caring and experienced nurses and the prices for plastic surgery competitive. Unfortunately, for reasons that need not be delved into here, the corporate muckamucks of HonorHealth unilaterally and ill-advisedly decided to massively increase rates for cosmetic plastic surgery procedures despite well informed warnings, information and suggestions from the plastic surgeon community. Price increases of between 50% and 100% were the rule (double the price) with some increases being even higher. This was already on top of fairly recent and significant price increases. The result of this is that, with rare exception, cosmetic surgery prices at Piper Surgery Center (and other HonorHealth facilities as well) exceed those at other quality, well run certified surgery centers. Depending on the procedure, this difference can be in excess of $3000 – not chump change for most of us. North Valley Surgery Center is one such excellent center. Consequently, we will now be offering and performing plastic surgery procedures on our patients at this facility. 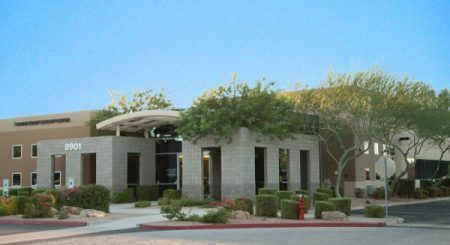 North Valley Surgery Center is a fully certified freestanding outpatient surgery center that has been in operation since 2004. It is both physician and hospital owned, therefore being more attuned and responsive to patient and physician issues. The center is conveniently situated in North Scottsdale just east of the Loop 101 at the Raintree exit. The address is 8901 East Raintree Drive, Suite 100 (map). If you have questions about the above or regarding any plastic surgery procedures that I perform or to schedule your consultation, please call my office at 480-451-3000.